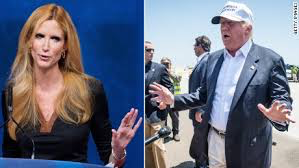 In the announcement of his national emergency declaration to divert funding for the wall, he added that Coulter had “gone off the reservation” in her increasingly harsh criticism of him. Coulter, a onetime major Trump backer who wrote the book In Trump We Trust: E Pluribus Awesome, is convinced the president’s declaration of a national emergency is a “scam,” and that he’ll never build the cement wall he vowed to erect. Trump also tried to distance himself from Fox News host Sean Hannity and from criticism that he is Trump’s shadow president. Hannity had been urging Trump to declare a national emergency to begin building the border wall…. Could the 2020 Democratic Presidential nomination race be just Biden vs Sanders?